From multi-faced totem poles to winged mythological creatures, animals have always been used as powerful folkloric elements. Communities around the world turned them into main characters in their stories to teach important lessons, and to capture their culture and values. 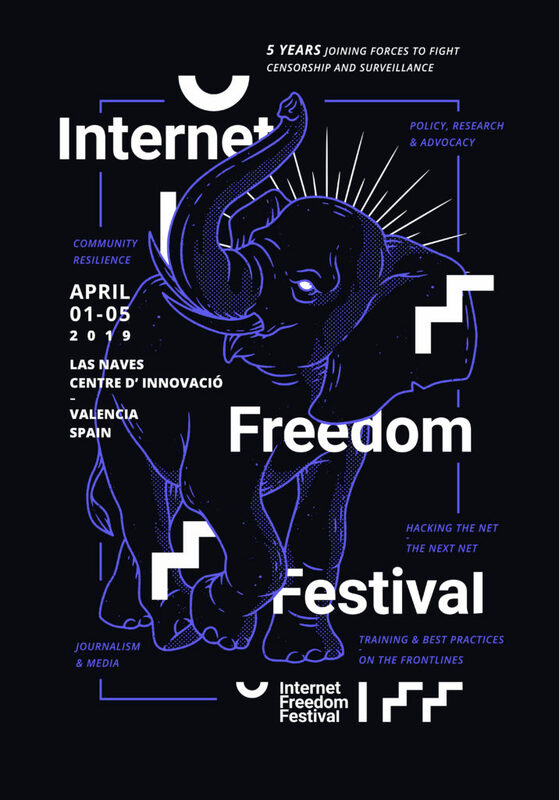 At the Internet Freedom Festival, we see the Internet Freedom field as a community of communities. Each one has its own mythology and values, but they all play a part in defending a free and open internet. Listening to their stories and learning about what makes each community unique is key to the success of our work: creating better ways to connect the different Internet Freedom defenders around the world. 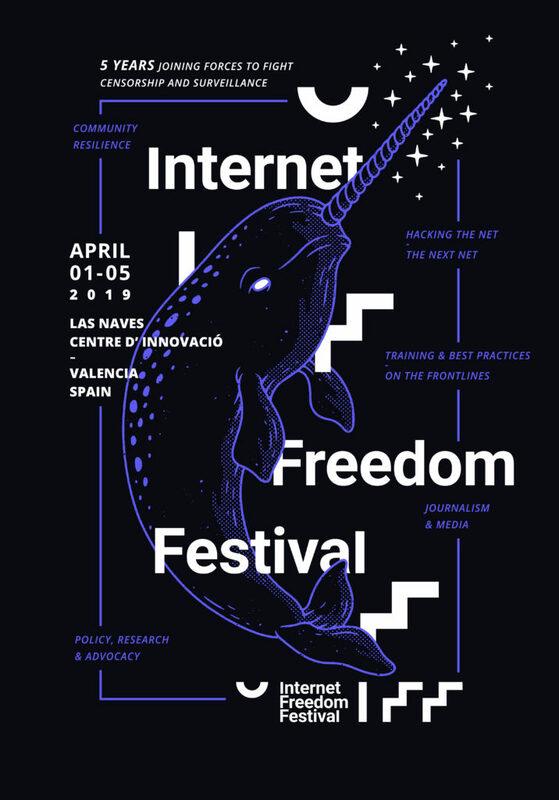 The Internet Freedom Festival is the only organization focusing entirely on community development for the Internet Freedom field. We design programs and tools to bring together an eclectic plethora of activist groups, NGOs, governmental agencies, media organizations, large internet platforms, and others who rely on each other to achieve the common goal of a free and open internet for all. 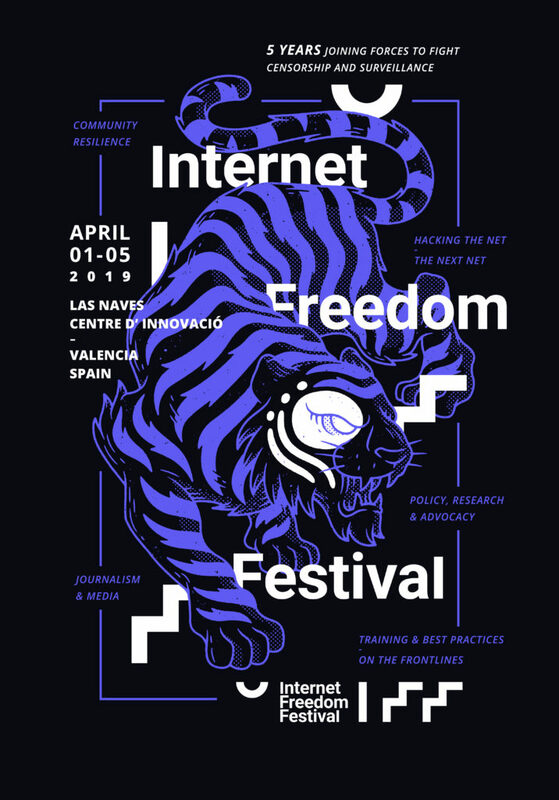 Our flagship initiative is the Internet Freedom Festival unconference, a reference global gathering that brought together close to 1,000 attendees from 132 countries in 2018. 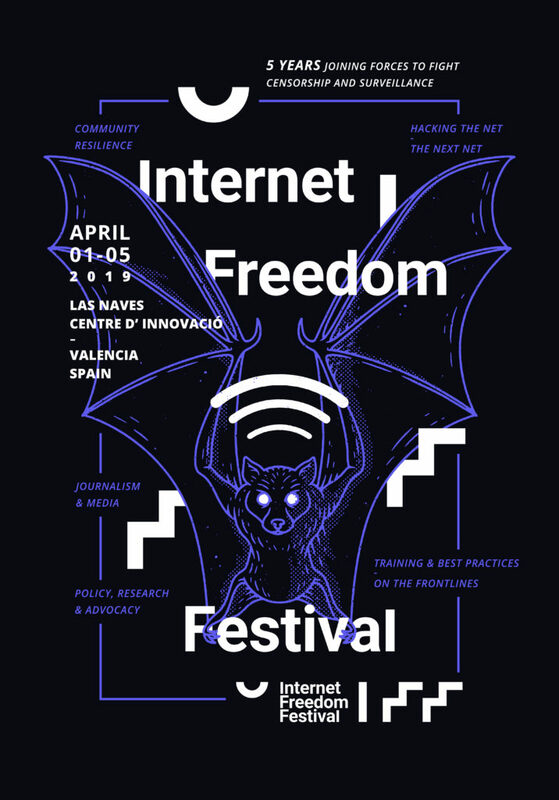 The IFF is the strongest expression of our belief that the inclusion of new and missing voices is the foundation of a strong and open internet. 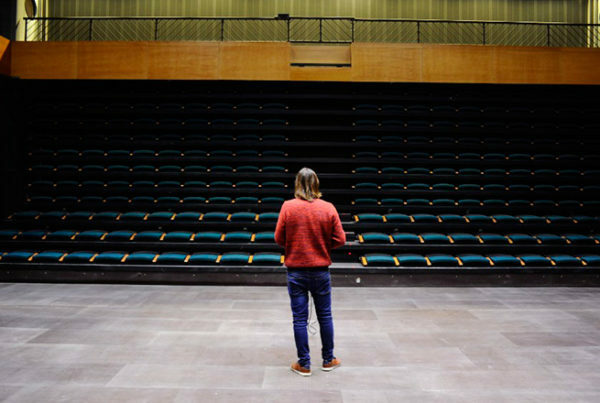 We launched initiatives such as the Diversity and Inclusion Program to support underrepresented groups, which offered participation stipends to 51% of our speakers, and elevated the Global South representation to 53% in 2018. Additionally, to ensure that diverse viewpoints and voices are well represented, IFF sessions are picked by our geographically and professionally diverse Community Development Fellows Program, the first in the field to focus on inspiring and empowering the voices of Internet Freedom throughout the world. 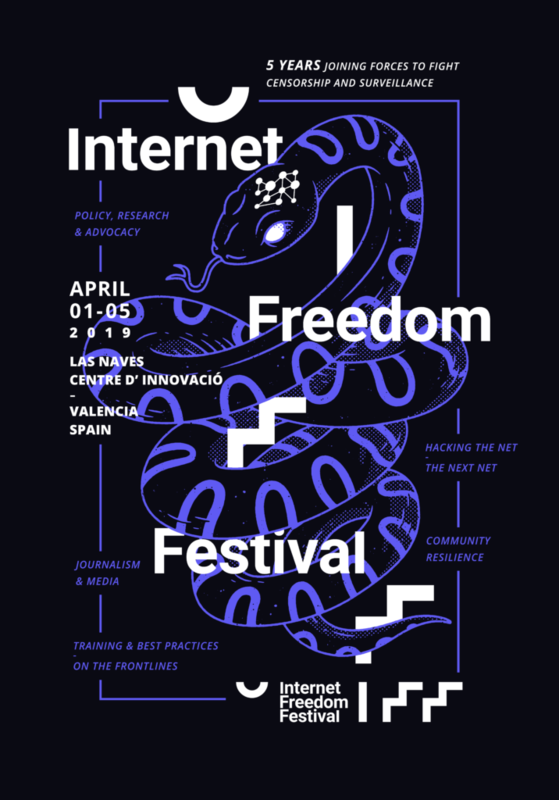 Every year the graphic image of the Internet Freedom Festival evolves. 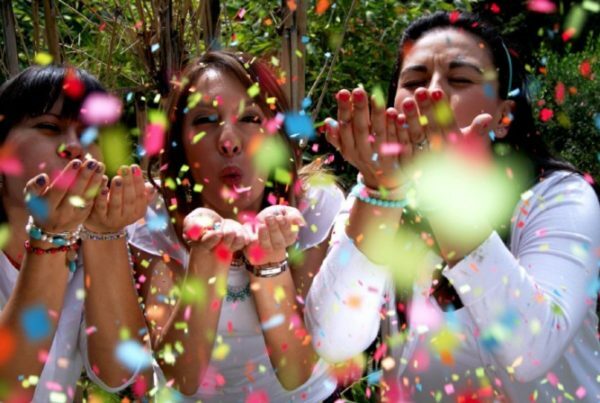 2019 marks the 5th anniversary of the project, and we wanted to celebrate all of you. We’ve created five symbolic representations with unique characteristics to capture the importance of your work, your values, and your strength as a group. There’s a total of five icons, one for each year of the IFF. There are land, sea, and air animals. Each animal represents an Internet Freedom topic. We chose Chris Lago, a talented illustrator from Valencia, to pay homage to the host city of the IFF. The tiger represents the fierce spirit of the activist despite the dangerous nature of their work. The tiger has a special pattern on its face to render facial-recognition software useless. The narwhal has long been perceived as a magical creature. Flecks of stardust around its tusk symbolize its magical ability to unite the trinity of secure, reliable and usable. The elephant embodies the strength of the community. It is portrayed as a classic Sol Invictus (“Unconquered Sun”) image, with a solar crown of rays representing the fight against internet shutdowns and the defense of the internet’s infrastructure. The snake is a classic guardian symbol. 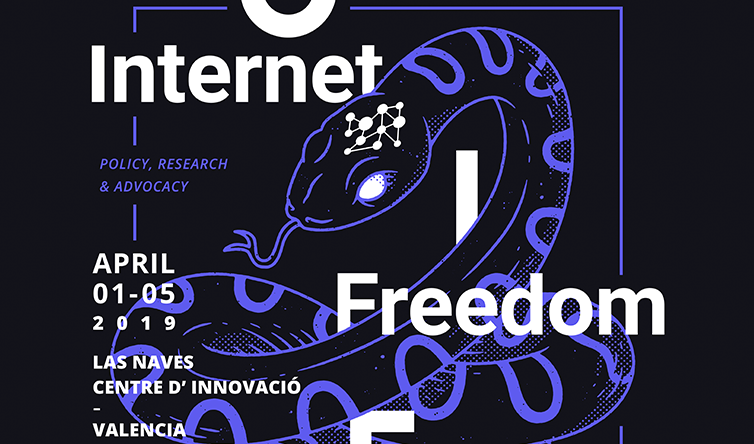 With a network icon atop its head, the snake emerges as a guardian of the Internet Freedom community and a defender of the FLOSS culture. The bat is one of the symbols of Valencia and appears on the city’s coat of arms. It represents the ingenuity required to circumvent communication barriers, and is a defender of privacy. These are the values that we’ve assigned to them, and we are excited to hear yours. All symbols have shared values, but the emergence of a unique, personal meaning is fascinating and enriches our community. If you like them, make sure to visit our swag store regularly, as we will be adding new items as we approach the dates of the 2019 Internet Freedom Festival. You’ll look “wild” in your new gear, and your contribution will be used to give voice to underrepresented groups in the Internet Freedom field.